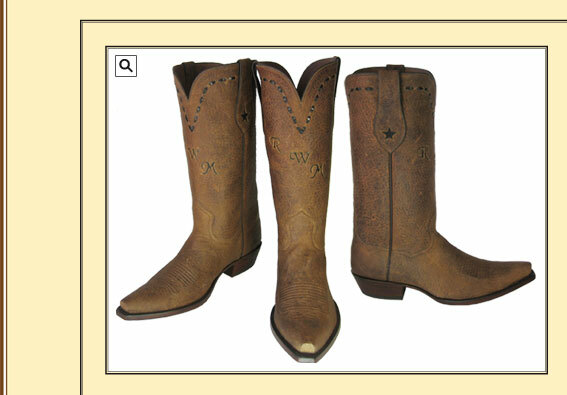 A great looking boot made of all tan distressed Deer shown with a 13" hand buck stitched top, 1 1/2" heel, narrow square toe, toe stitch & legendary star pull. Just add you're initial or brand. Available in tan, brown or dark grey.